Obtaining a mortgage for a condo is a little tougher than getting a mortgage on a home. Yes, condos are often cheaper, so you would think getting the mortgage would be easier, but it’s not. Single-family homes are less risky for lenders because there is only one owner to worry about. When you buy a condo, you have the other homeowners and the association to worry about. In fact, lenders are more concerned about the welfare of the development itself when you buy a condo. That’s why there is such a thing as warrantable and non-warrantable condos. 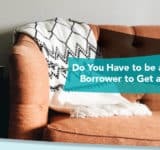 You need to know the difference so that you can make buying a condo as easy as possible on yourself, especially if you plan to secure conventional financing, such as a loan from Fannie Mae or Freddie Mac. What is a Warrantable and Non-Warrantable Condo? There’s one simple way to understand warrantable and non-warrantable condos. If the development meets Fannie Mae or Freddie Mac’s requirements, it’s warrantable. If it doesn’t meet these requirements, it’s non-warrantable. Again, these are the conforming loan guidelines for a condo. The good news, however, is that the FHA and VA will follow what Fannie Mae and Freddie Mac decide. In other words, if a development is already approved by Fannie Mae or Freddie Mac, the FHA or VA will allow it as well. 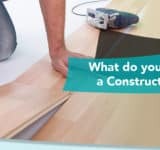 A condo may also be considered non-warrantable if it’s not fully completed; if the HOA has not taken control of development yet; or if the development allows temporary rentals (condotels). 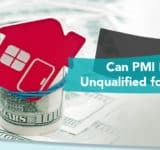 If this happens, you will be unable to secure financing from Fannie Mae, Freddie Mac, or any government-backed program. Can you Buy a Non-Warrantable Condo? If you have your heart set on a specific condo and it turns out to be non-warrantable for one reason or another, you can get financing. The trick is that you will have to seek financing from a non-traditional lender. Many people consider these lenders subprime or portfolio lenders. No matter which way you look at it, they are lenders that keep loans on their own books. They don’t sell them to Fannie Mae or Freddie Mac and a government-agency doesn’t guarantee them. You may have more options when you seek financing from a non-traditional lender. Because they keep the loans on their books, they call the shots. They may have different programs that traditional lenders do not have. This comes in handy when you want to buy a condo that no one else will touch. Before you settle on a loan to buy a non-warrantable condo, make sure you understand the loan. Because it’s not a conforming or government-backed loan, there may be fewer restrictions on it. These loans typically don’t have to meet the Qualified Mortgage guidelines. This doesn’t necessarily mean it’s a bad thing, but you should make sure that the terms are something you can afford. Non-QM loans can have interest-only payments, prepayment penalties, or other terms that conforming loans cannot have. As long as you know the terms and can afford them, it’s perfectly acceptable. 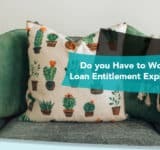 It’s just important that you talk to the lender and ask about the full implication of the loan so you know what you are getting yourself into. If you decide to buy a non-warrantable condo, keep in mind that you may have trouble selling it in the future. Since Fannie Mae, Freddie Mac, the FHA, and VA will not finance the home, you’ll narrow your field of possibilities when looking for a seller. If you think you will live in the unit for a long time, though, there is still a chance that things will change and the development will be warrantable in the future.